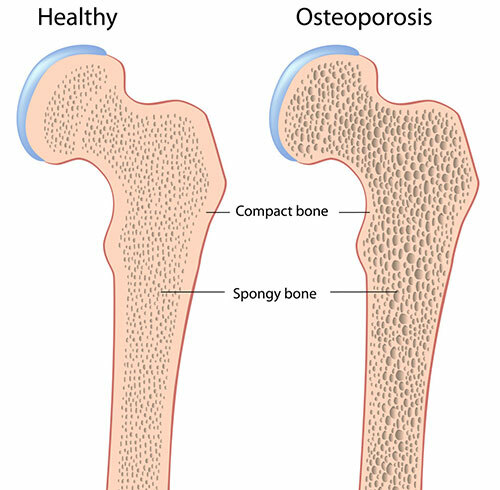 Osteoporosis is defined as a medical condition in which the bones become fragile and brittle. It is often perceived as a disease that mostly affects the elderly. However, early signs of osteoporosis may show and affect younger people as well especially those who belong to the age bracket of 30-40 years old. Studies show that adults are at higher risk of osteoporosis when their bone density is already lower to begin with during their younger years. In this article, we'll tell you the latest information on osteoporosis, and the surprising relationship between bone and aging. You'll also learn about the major causes of osteoporosis that you may have never heard before. Plus, find out the best natural ways in preventing bone loss. Bones Decrease in Density as We Age...Or Is It the Other Way Around? Most people believe that bones tend to have lower density as our body ages. However, this is not always true. In fact, the cause and effect can actually be the opposite. "When bone density declines, the whole body ages" – This was the result of the studies and experiments conducted in laboratory mice in Japan. This is due to the fact that bone cells found in bone tissues are not only responsible for the development of new bones and its maintenance, but they also help regulate the entire body. When movement (either by gravity, pressure, or activity) is applied to the bone, it will send a signal to activate and stimulate the organs of the whole body. However, inactivity or reduced body workload will cause the bone cells to also reduce their activity and send weaker signals to the body. This will result to decrease in red blood cells production and weaker immune system (remember, red blood cells are being produced by the bone marrow). This will then lead to a reduction in organ functions of the whole body. Two Main Factors of Osteoporosis – "Small and Thin Body" and "Lower Bone Density in Women"
Based on an epidemiology study, one out of ten people over the age of 40 have osteoporosis. Whilst osteoporosis may be caused by aging and deficiency of calcium, this is not always the case. In fact, studies show that loss of bone density already begins at early age. Therefore, young people need to pay attention to their bone health as bone density reaches its peak during mid-20s. It is important to note that diet and exercise are not the only factors that can affect the body's bone density. There are two other major factors of lower bone density that are often neglected. Just being constitutionally or naturally thin may increase your risk of osteoporosis. This is because there tends to be less load or pressure on the bones due to lower body weight and body fat. In addition, the female hormone estrogen levels, which acts in strengthening and maintaining a healthy bone, is reduced since fat cells also produce estrogen levels. In general, osteoporosis is more common in women especially when their estrogen levels drop after menopause. This makes women at higher risk of getting osteoporosis than men. Bone density starts to decrease gradually after around 20 years old. 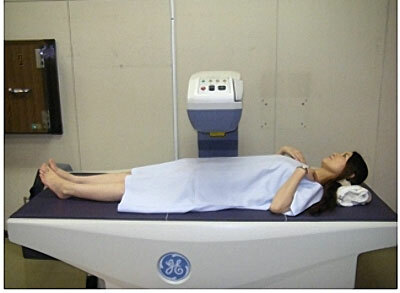 In this case, undergoing Bone density test early (BMD [Bone Mineral Density] test) is crucial as this can help you know whether you are prone to future osteoporosis or bone fractures. In effect, this will also help you minimize the loss of bone density by making a change in your lifestyle. To prevent a loss in bone density, we have put together three main things that you should remember. It is recommended that you take 700 mg of calcium per day. To give you an insight, 700 mg of calcium is equivalent to about 3 cups of milk (636 mL), or about 10 pieces of sardines (538 g). 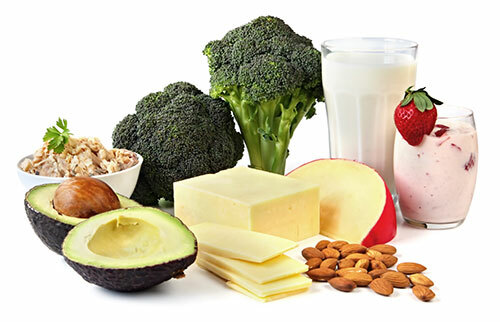 Try to incorporate these foods and other calcium-rich foods in your daily meals. In addition, vitamin D helps in the absorption of calcium. Vitamin K is equally important, too. We recommend that you eat beans, mushrooms, and spinach, as these are good sources of vitamin D and K.
Workouts like jumping and even brisk walking can help strengthen your bones, thereby increasing bone density. 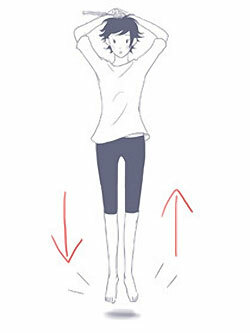 They keep bones strong and healthy by working the muscles and bones against gravity. Perform a large jump about 10 times in one day, 2-3 times a week. If you are not physically fit to do jumping, going up and down the stairs of a 4-storey building (about 65 steps) is effective, too. Important: If you already have osteoporosis, please consult your physician beforehand to determine if you are fit to do these exercises. Sunbathing for 15-30 minutes a day encourages the absorption of calcium as vitamin D is synthesized. You don't have to sunbath your entire body. Exposing just your palm to sunlight will have the same effect, too. 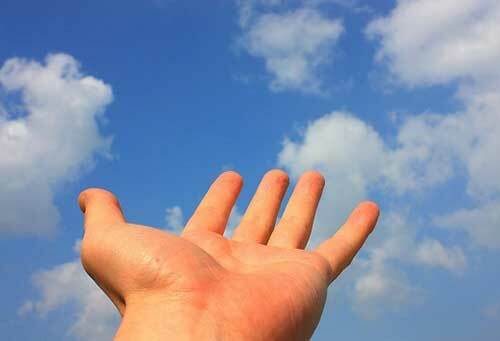 Read our article "Vitamin D: Are You Getting Enough Sun Exposure?" for more information. 1. "What You Should Know About Osteoporosis"
2. "Maintaining Healthy Bone Density"